The business and purpose of the Sawyer County Historical Society is to preserve, advance and disseminate knowledge of the history of the Sawyer County area and to collect materials and artifacts relating to the history of the Sawyer County, Wisconsin, area. In order to do that, donations of pictures and artifacts are always welcome. Pictures can be scanned and your original document returned. Call the museum at (715) 634-8053 to see if your items are needed and to make arrangements for their donation to the museum. 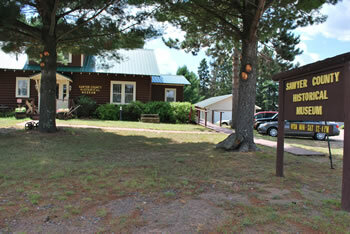 Visit the Sawyer County Historical Museum year round. 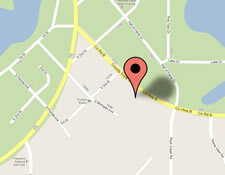 We’re located east on Highway B in Hayward, Wisconsin. Click here for directions. Our museum is open from noon until 4 p.m., Wednesday through Saturday, June 1 through August 31. Winter hours are in effect from September 1 through May 31, Thursdays only from 10 a.m. to 2 p.m. The museum is handicap accessible. Admission to the museum is free, but donations are gladly accepted. To make a donation, send a check to the Sawyer County Historical Society, P.O. 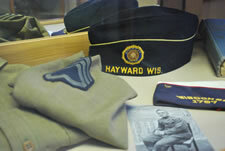 Box 384, Hayward, WI 54843, or make a donation when you visit the museum.